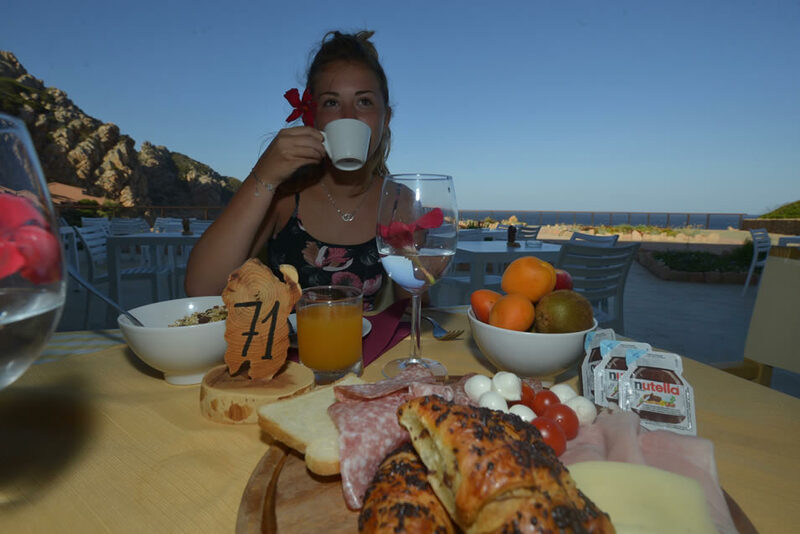 Just a few steps away from the central body of the hotel, in a comfortable environment with panoramic view, the restaurant "Costa Paradiso “offers a friendly and efficient service. 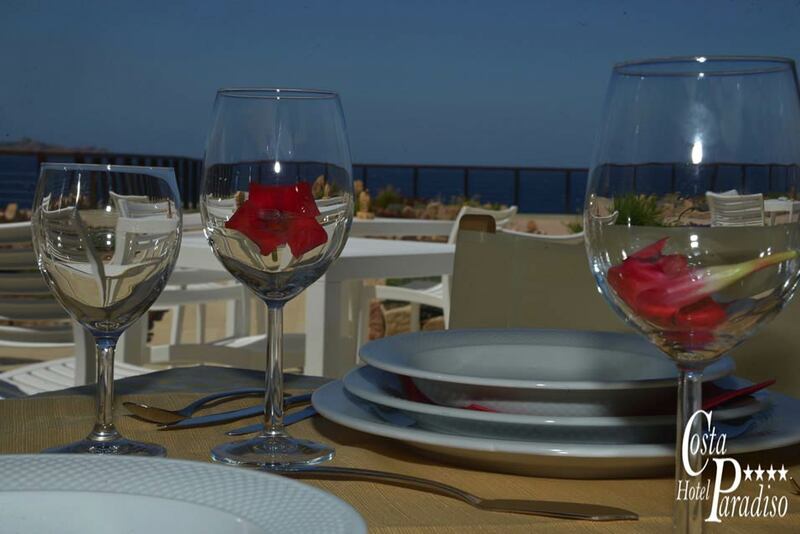 In addition to an extensive a la carte menu of Italian traditional cuisine and of course with the inevitable pizza, everyone can opt for a daily services both of half board and full board, with an extremely flexible organization: half board or full board can be booked by guests day by day simply by communicating to the reception the evening menu selected within 12.00 hours every day. 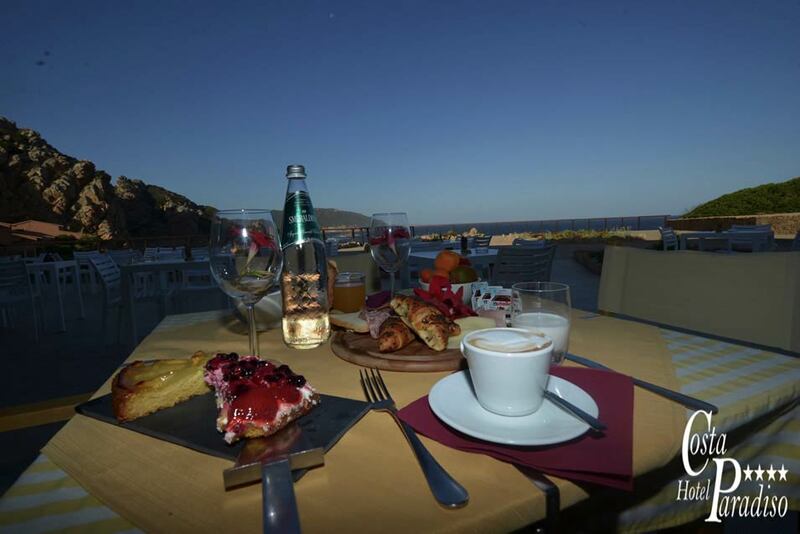 The chefs of the restaurant of our hotel in Sardinia are prepared and available also for any allergies/intolerances: please let us know in time, especially in the case of need for particular foods.